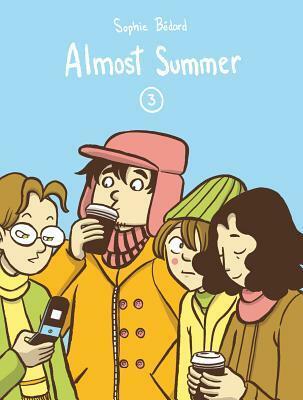 The last chapter of the Almost Summer saga features Emily and Anthony looking for an apartment and Michelle trying to find the perfect dress for prom night. And then the next thing you know school’s out for summer, high school is over and the gang celebrates by going to a cabin in the woods: barbecue, campfire singalongs, occult rituals… wait what?! Things do get a little weird, after everyone eats the -special brownies- prepared by Michelle’s mother. This fourth and final volume of Sophie Bedard’s coming of age tale is the most sincere, poignant one yet… but also the funniest.